Holiday decor and accents can transform your home during the holidays. For many though, finding just the right holiday style that matches your home’s existing decor and taste can be a challenge. If this Thanksgiving weekend you’ll be decorating you home instead of shopping we’ve featured two of most popular holiday decor styles – Vintage Holiday and Rustic Luxe – below to inspire you. 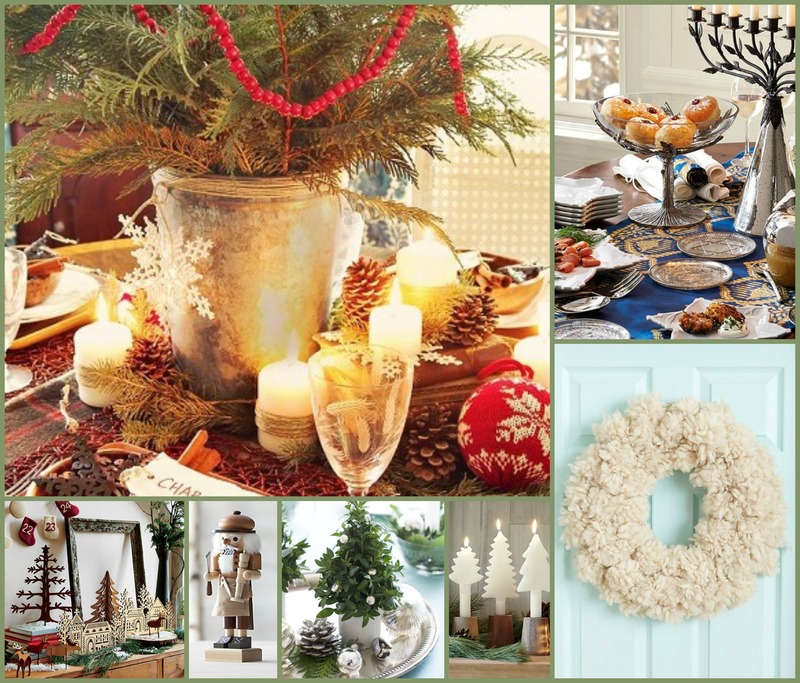 Vintage inspired holiday decor reminds us of holidays from years past. Muted colors, natural tones, sparkling metallics and bright whites define this more elegant and warm style for the holidays. Traditional textures, mercury glass, classic ornaments, simply decorated trees, antique glasses, touches of evergreen and nostalgic decor define this style. Group vintage accents and accessories together and pair with a few clean, modern elements to create an updated look. Rustic Luxe decor is the perfect pairing of a mountain lodge and NY penthouse. Defined by mixing and matching elements inspired by nature with shimmery metallics, rich textures and elegant styling this look creates a warm, glamorous style perfect for holiday decor and entertaining. 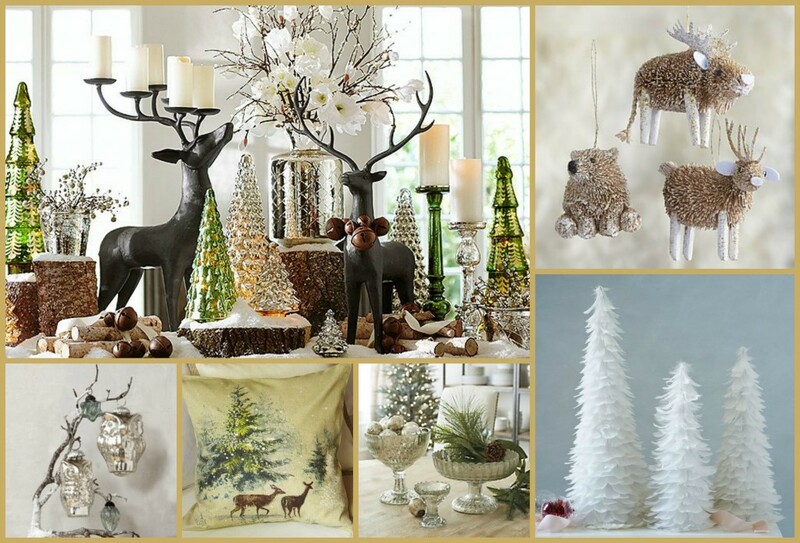 Mix warm woods and earthy elements with silver and gold. Accents and decor including animal themes and feathers layered with modern touches complete this look.